eToro is a new broker, but is gaining quickly recognition. It aims to educate its customers by presenting them an impressive number of tools charts and indicators in an approachable way. Traders can also learn by interacting with others, that being a feature of social trading. The company that owns eToro is called Tradonomi LLC and it is based in the United States. It is registered with the CFTC and the NFA. It complies with the capital requirements and rules that enable a safe trading environment. The platform also uses SSL for encryption, so that all the data regarding the clients and their IP’s are kept safely. Because of their innovations the platform won an impressive number of awards from companies such as World Finance, Finovate Fall and European CEO. Some of these innovations are the possibility to copy the trades of others with the eToro Openbook and an increased number of tools. Social trading is based on the rules of social networks and the content is largely generated by the users, such as posts, article and videos. The broker encourages everybody to take part in social trading because setting up an account is easy and the interface is friendly. The currency pairs and trading instruments are also presented in an appropriate way, by focusing on simplicity and usability above other considerations. The feedback generated by users is also an instrument that helps the platform improve and given that we are talking about a trading social network, this feedback comes from more customers and it is more detailed, allowing the developers to improve the platform in a short amount of time. The platform is a great place to be for advanced traders, because they can gain a following and they will find traders that copy them. 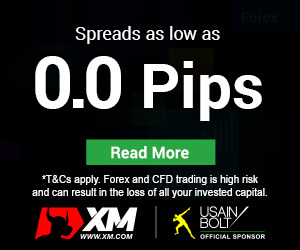 There are also a lot of tools that show what the majority thinks about the direction a currency pair is heading. Trades can be maintained for short amounts of time, even one minute for traders that wager on a volatile environment. The company offers their trading platform in three variants: eToro WebTrader, eToro OpenBook and eToro Mobile Trading Platform. The WebTrader is the main platform and it has an elegant interface as to not overload traders with information. A feature that is specific to it is the integrated chat function. It is possible to interact with other traders or to remain invisible. The OpenBook takes the social network features one step further and integrates them in order to create an impressive package. Traders can see what others are doing and interact with them. There is also the possibility to copy the trades of others. The Mobile Trading App allows traders to be informed about their portfolio even if they are on the move. There is even support offered for Android and iPhone. There is also a feature that prevents the phone from going in hibernation when social training is realized. 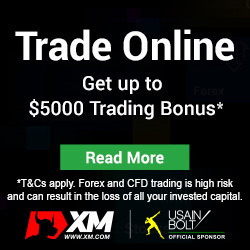 There are four types of trading accounts, ranked according to the minimum deposit required. The higher this deposit is, the greater the number of features. The minimum deposit is between $50 and $500, depending on the method of payment used.